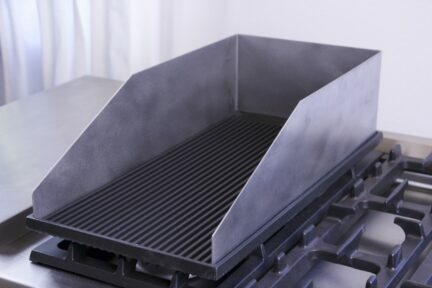 The optional splatter guard fits over the grill plate accessory’s outer edge. This stainless “shield” protects surrounding surfaces from grease or hot oil splatter. For a nominal charge this may be shipped directly from Art Culinaire. Currently available for delivery via UPS.